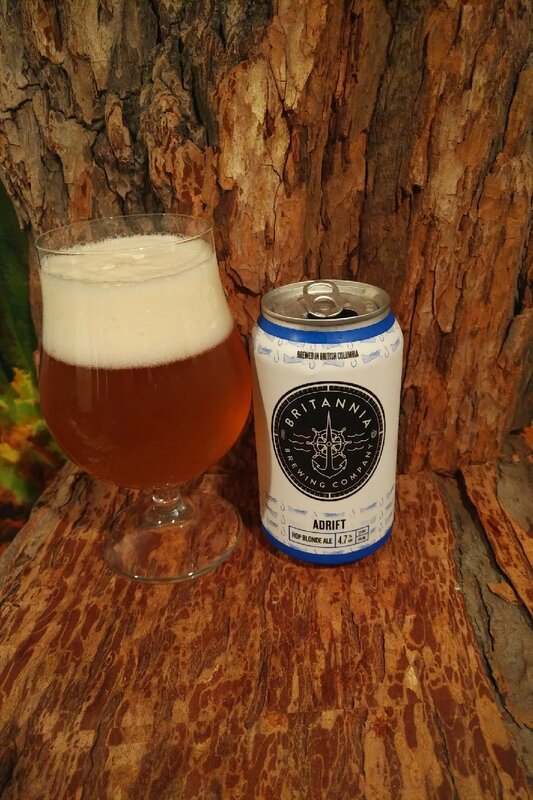 From Britannia Brewing Company in the Richmond with a tasting room in Steveston Village comes their “Adrift Hop Blonde Ale”. The beer pours a golden colour with a white head. The aroma is of floral hops, sweetness and fruit. The flavour is of grainy and bready malts, citrus, tropical fruit, grassy notes and mild hops bitterness. The alcohol content comes in at 4.7% with an IBU of 25. This is a good sessionable and aprochable beer. It wont knock your socks off but you should enjoy it.